What a glorious Palm Sunday it was for Nancy Layman Bertholf of Daleville's "The Glebe, “who ended her Parkinson’s paralysis of arms and legs and her week-long semiconscious state, on April 14, opening up for herself an entirely new experience as guest of Our Heavenly Father. Mourners of her absence will be her husband of 69 years, Dr. Max Bertholf, two daughters, Susan/Lenny LaRose of Roanoke County (Grandson Greg/Siobhan Jennings - Great Granddaughters Aibha and Aisling Jennings - and Grandson Ryan Jennings) and second daughter Carol/Michael Guessford of Daleville (Grandsons Erick and Jonathan Guessford); her two sons Roger/Marsha Bertholf of Houston, TX (Grandson Aaron/Kim Bertholf and Granddaughter Abby/Austin Sapp) and second son Kevin/Kris Bertholf of Troutville (Granddaughter Lindsey/Charlie Fasnacht - Great Grandson Landon Fasnacht and Great Granddaughter Avery Fasnacht - and Granddaughter Jessica Bertholf) and unadopted "son" Ron/Chris Cassell of Roanoke ("Granddaughter" Amelia/Cory Evans). Nancy, 91, was born Nancy Jane Layman of the late Lowell Nininger and Margaret Dove Layman of Cloverdale, VA on January 21, 1928, and is survived by her only sibling, John Dove Layman/Marion of Bridgewater. VA. She was a graduate of Troutville High School and of Bridgewater College, married Max and became the breadwinner-working partner with him throughout his medical school. Upon Max's graduation from Stanford Medical School, they returned to Nancy's home where Dr. Bertholf interned at Roanoke Memorial and Crippled Children's Hospital during the polio epidemic years. In 1954 they bought a home in Daleville and lived in their "Pink House" on US220 for 50 years before moving to The Glebe. A Bridgewater College Home Economics major, she continually honed her skills in dress-making and cooking by making many of her own dresses as well as those of her children and cooking meals for the family Sunday dinners as well as for the church Wednesday Family Nights. She worked for a time as a seamstress for Sidney’s “Adjustments” Department, and as a helper at the Botetourt Frame Shop. She also became very proficient at needlework. She was a lifetime member of the Cloverdale Church of the Brethren, sang in the choir from childhood until the last two years of her life and served as a deacon of the church for many years. She filled in as secretary, bookkeeper and receptionist in her husband's private practice of Family Medicine. She managed to do many of these things while raising a family of four children as a "mostly" stay-at-home Mom. All of her life, Nancy has been a compulsive "doer" and a walker for exercise. She has created over 50 frame-able cross-stitch and needlepoint creations, many of which took a year of nearly daily work to complete. So when Parkinsonism destroyed her dexterity and robbed her of her walking, utter frustration filled the last two years of her life. For her, death is freedom. So sadness should not linger long at Nancy's passing. She has moved on. 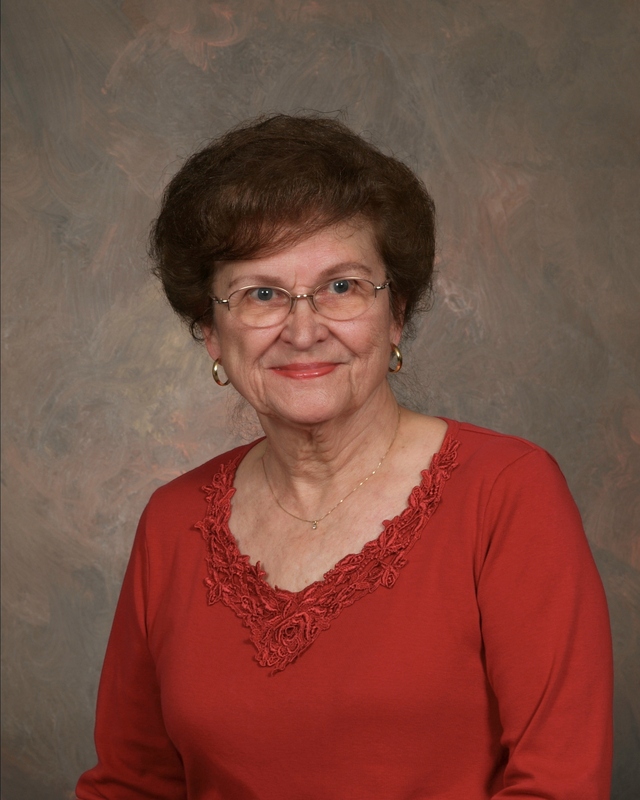 A Memorial Service will be held in Nancy’s honor at the Cloverdale Church of the Brethren at 1:00 PM, Monday, April 22 and a reception will follow. Flowers are acceptable and may be sent via Rader Funeral Home, 630 Roanoke Rd., Daleville Virginia, 24083, 540-992-1212. Or in lieu of flowers, donations adding to Nancy’s Trust Fund for the Cloverdale Church of the Brethren music department will also be greatly appreciated. Interment of ashes will be privately attended by the family at the Daleville Cemetery.